Here is an illustrative chart on Bush versus Obama’s effect on the federal debt. Note most of Obama’s spending was one off expenditures meant to stimulate the economy after Bush handed him a train wreck. 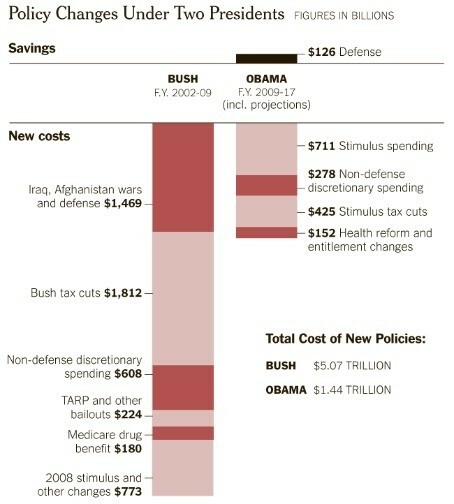 Meanwhile most of Bush’s spending programs were long-term initiatives that continued after he left office (meaning Bush’s effect on the deficit is being understated in this chart.